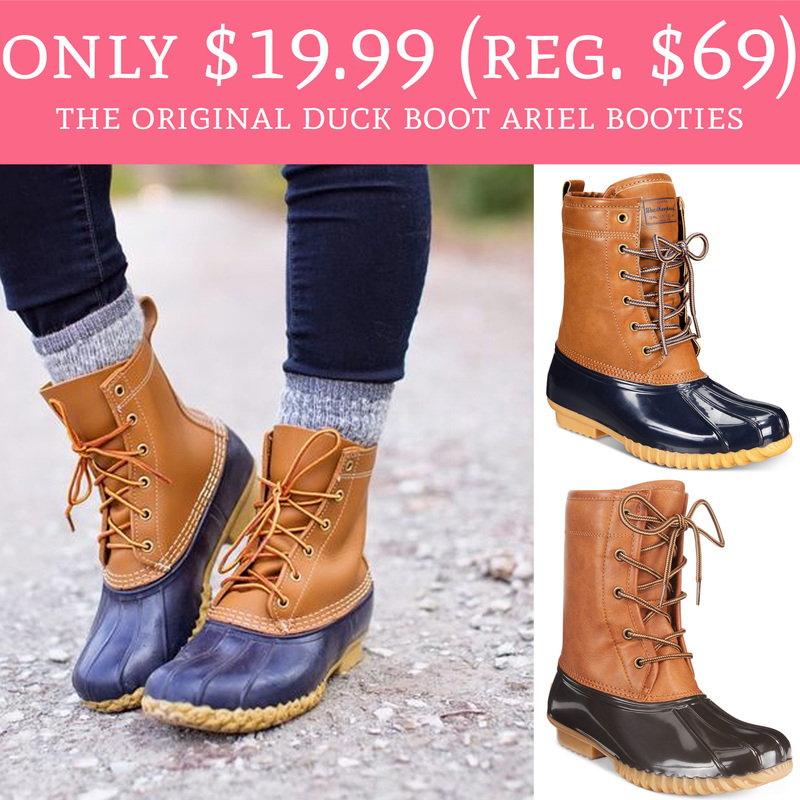 From now until 1/21 or while supplies last, hurry over to Macy’s.com to score The Original Duck Boot Ariel Booties $19.99 (regular $69)! These are super stylish and perfect for the upcoming winter months! This is the lowest price I have seen on these all year long! Choose pick up in store to avoid shipping fees or spend $48 or more for free shipping. Get yours here! Head on over to Macy’s to score yours!